Looking for a great top coat that your clients will love? 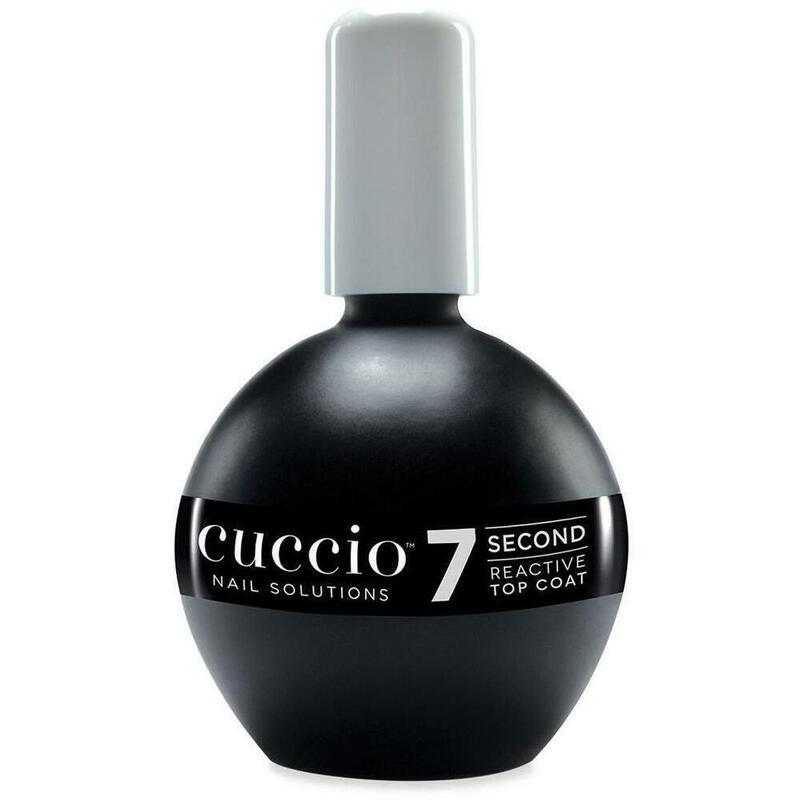 Check out the new Cuccio Super 7 Second Reactive Topcoat for a quick, shiny, strong top coat! Super 7 Second Reactive Topcoat is a super quick drying formula that is redefining the way you protect your nail color. It creates a high gloss finish with incredibly long lasting durability. It contains photoinitiators and fast acting monomers that react with natural light so it sets super fast. Super 7 seals in color by creating a coating that is second to none. 2.5 oz. - 75 mL. Apply after the final coat of nail lacquer is applied. Available in a convenient 2.5oz size for salon use, as well as a 0.43oz. Also, check out the 12-piece retail display of the 0.43oz size so your clients can take one home with them!